The new champ is nightmare fuel. 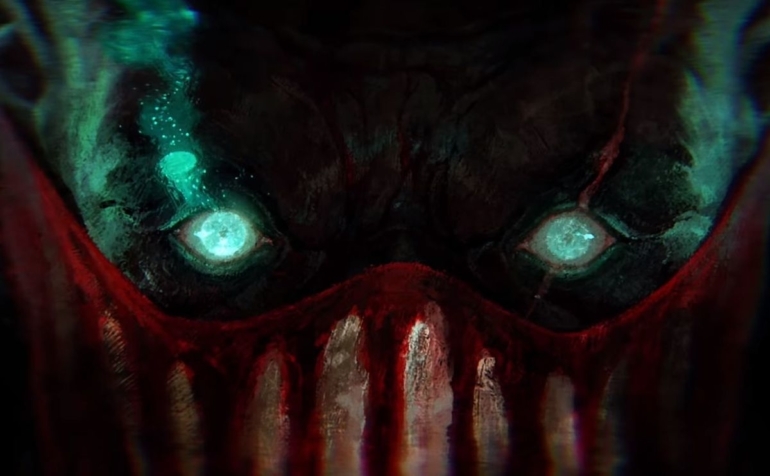 Pyke, the Bloodharbor Ripper, was finally revealed in today’s teaser video on the official League of Legends YouTube channel. The new champion appears to be some sort of vengeful spirit—his entire mission to judge and punish all of Bilgewater stems from the fact that his shipmates let him drown, according to the video’s description. The actual trailer shows him descending into a deep ocean toward a massive sea monster, though, so his death may have been a bit more gruesome than drowning, after all. Judging from Riot’s past reveals, we know that Pyke will be an aggressive support champion. His dark, gritty theme of revenge-fueled (and frequently murderous) haunting is very uncharacteristic of most of the game’s supports, with the exception of Thresh, whose entire purpose is to steal and trap souls. Over the course of the last year, most champions have had some sort of optimistic charm, with Zoe taking it a few steps further into downright bubbly cheer. This murdering, coldhearted cross between Swain, Nami, and Jack the Ripper appears to be about as far from bubbly as he can get. In other words, he’s walking nightmare fuel. His kit hasn’t been revealed yet, but the teaser showcases ghastly swords and fishing hooks, so we expect to see them somewhere throughout his abilities. Pyke’s release date hasn’t yet been confirmed, but if it follows the usual pattern for new champions, he’ll likely hit the PBE next week and go live with Patch 8.11.